I can see why ancient people worshipped volcanoes. There is a sense of awe at the force of nature of something that big coming out of the earth. Above is our first view of Mount Daisen, located on the Sea of Japan coast of the main island of Honshu. 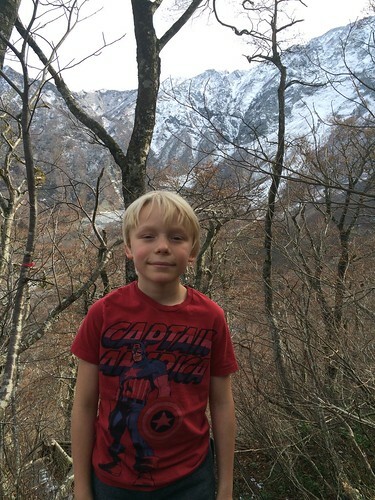 During this fall break from school, we rented a car and drove to the Daisen-Oki National Park. We had a fantastic stay, enjoying the peace and serenity of the forests and mountains of the park, gourmet meals at a cozy bed and breakfast, and some quality family time. It was a holiday I won’t forget soon. We only began to explore the park as it includes a large mountain range and even several islands. My highlight was the hike we took to Misen Peak. 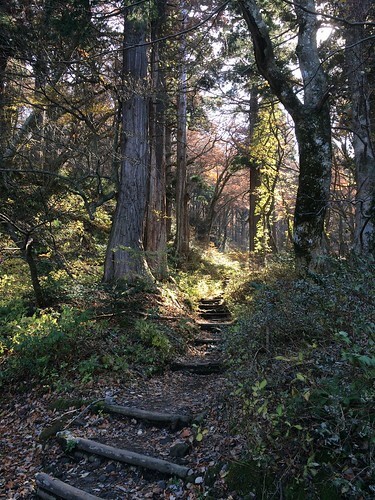 The trail goes through the Daisen-ji, a Buddhist temple dating from the eighth century. We are getting into the Buddhist and Shinto traditions of washing away the negativity in one’s life and ringing the gong to awaken our ancestors. The kids were pretty good and we made it to the snow line, which is over 1,100 meters. The peak is about 1,700 meters, but I don’t think Nadia was ready to go all the way. There were plenty of old growth trees and spectacular views of the snow-capped peaks. It was great to get away from the crowds of urban Japan as there were only a handful of people on the trail. 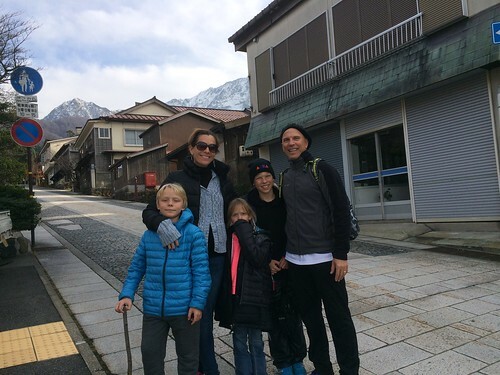 The mountain is called a “mini-Mount Fuji” and is so far our favorite place in Japan. The fall colors were also out in full force and the drive through the forests reminded me of my home in Michigan. The trail leading from the back of the temple. I am really interested in the geology of Japan as it is one of the most seismically active places on earth. Daisen last erupted about 10,000 years ago, but an earthquake in 2000, made one of its flanks unstable. The pre-Buddhist sect, Shugeno, a group of acsetic monks, used to call it the mountain of the great god. The god may awake again someday. Another interesting thing about the mountain chain is their proximity to the Sea of Japan, which you can see from mountains. We will definitely be back to explore more of the park and maybe even for some skiing this winter.